Aniplex has released a new key visual and trailer for Sword Art Online: Alicization. Kirito, Alice and Eugeo are featured prominently on the visual. The trailer has English subtitles and gives a sneak peak at Underworld, the newest world Kirito must traverse through. You can check out the new trailer below. 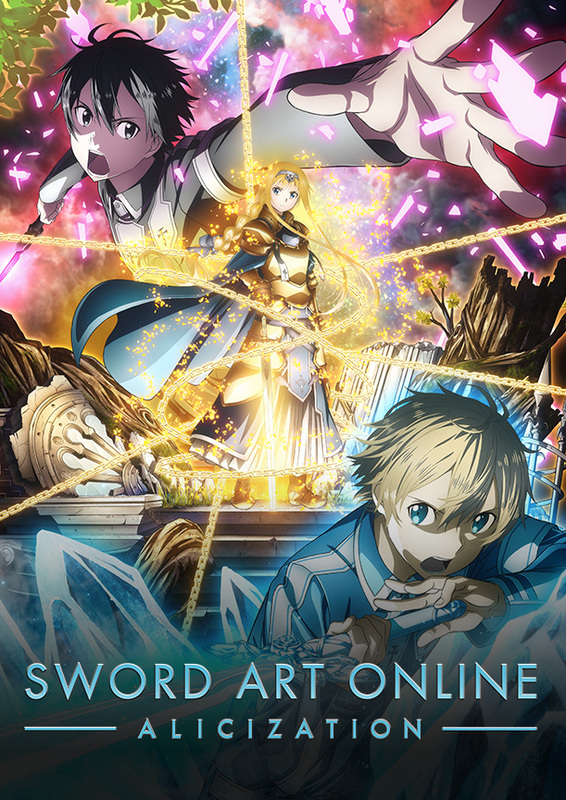 Sword Art Online: Alicization is an adaptation of the Alicization arc featured in the original light novels by Reki Kawahara. It is the longest arc in the series and is longer than the Aincrad, Fairy Dance, Phantom Bullet, and Mother’s Rosario arcs combined. “Underworld” … the world that could outstrip even “SAO.” Residents are NPCs who are just like humans. Kirito wanders into and gets lost in “Underground.” He and his new friends struggle to escape as they unravel the secrets of this new virtual world…. Sword Art Online: Alicization is set to premiere in October 2018. It will be produced by A-1 Pictures and directed by Manabu Ono. The franchise has been adapted into three different anime including two TV anime seasons and a feature length anime film, all produced by A-1 Pictures. A spin-off of the series, Sword Art Online Alternative: Gun Gale Online has also been adapted into a 12 episode TV anime by Studio 3Hz.